Our projects all have the goal of encouraging the participation in society of the most vulnerable people (children, young people, and adults), and the commitment of all of society in their support. This will allow us to build a more just and supportive society. House of Frendship (Casa de Amistad): A culture and community project that supports the development of art, sports, and education. 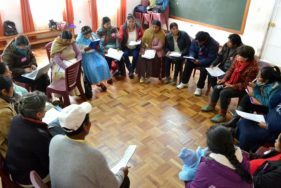 Tapori: In Bolivia Tapori works to develop support education based on solidarity and cooperation between children. The Spanish-language headquarters of the international Tapori network is in La Paz. People’s University: We work in collaboration with several other human rights organizations to give people living in poverty opportunities to speak out and meet with people from other backgrounds. 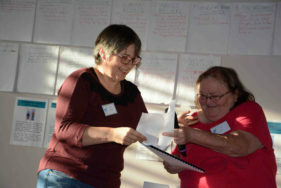 Citizen engagement: Through public events like festivals of learning and the World Day for Overcoming Poverty, we help people get involved in the fight against poverty. 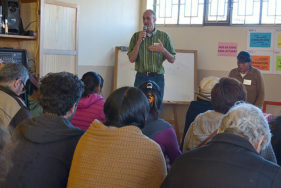 ATD Fourth World started its work in Bolivia in 1994.